Creative Writing Exercise: What Happened Next? Welcome to Creative Writing Exercises, our series of writing prompts designed to flex your creative muscles. Can You Create a Plot Twist? encourages you to write a story with a surprise ending. Take your piece where you will, but don’t forget the twist in the tale! Lightning flashed just as he reached the house. Had he been discovered? Vinita Zutshi offers writing services at Penchanteur.com, and blogs at Carefree Parenting. Have you registered for the WritetoDone Flash Fiction Contest yet? 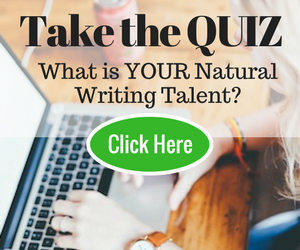 The first prize is worth $5oo and gets your short story published on WritetoDone! Click here to register. Entries close on October 5th. Long journey with his illness made him wiser however which was a blessing.he was a good looking guy and always was popular with the ladies.he eventually settled down. He ended up becoming a successful working actor making good money,and he also had extra income from his other pursuits. His wife was very supportive and had always been his cheerleader encouraging to reach for the brass ring and get better within himself. I guess at age 70 you could say that herb came full circle and never looked backed on his life with bitterness. He was totally a happy and fulfilled man up to this very day. He was not only a successful man but also a kind and good man who helped others develop their full potential as well. So I doff my hat to herb truly an inspiring man. How long does it take for a submitted post to publish to the site? It’s showing now, Scott. Normally, comments show up immediately unless there’s a hitch with the server, or they’ve inadvertently been added to the Spam folder. If so, there would be nowhere to hide. He stood perfectly still and waited for a Wave of Dementia to knock him from his feet. Counting now, backwards from ten. Nothing. No dementia attack. He exhaled. Dropping to the ground, he belly crawled the remaining fifteen or so yards to the back patio, arguing as he went. “Reckless, Finn, moving out in the open like that. “Screw you, Finn, that lightning came out of nowhere. It’s friggin’ pitch out here. “You’re in the Mouth of Madness, idiot, you need to anticipate the unanticipatable. “That is so not a word. “It is absolutely a word. He made it to the patio and paused. “Shh, I see movement inside. “You don’t have to shush me, idiot, I’m inside your head. He could see The Worm now, slithering from right to left. It was carrying its Insanity Gun but loose and sloppy. He watched it cross the room, shuffling slowly but deliberately, before exiting to the left. If he moved now, he could slip in unnoticed. Finn took a deep breath, got to his feet and moved to the door. He’d been practicing this for weeks now and it was going exactly as planned. Minus the lightning. Another flash lit up the sky. Four seconds later, thunder. “It’s closer than the last one,” he thought. “It knows we’re here.” He paused again and squinted hard. But again, no Dementia. He picked the lock, slid the door open and stepped inside. This was it. The final battle. He gripped the enchanted machete he’d named Azazel, and, smiling, turned to where The Worm had gone. The Worm came around the corner and met his gaze. Finn raised Azazel high and brought it down hard, cleaving The Worm’s head in two. Lightning flashed just as he reached the house. Had he been discovered? Darkness had covered his approach but now the weather betrayed him. CRASH! came the thunder, directly overhead. Thompson raised his head and peered through the pelting rain at the balcony where the Admiral stood, solemnly sucking on his pipe. The Admiral’s eyes had not made out Thompson in the fleeting light as he’d feared. Instead they were fixed on the darkened bay, where the storm was no doubt wreaking havoc on his precious navy. Thompson stole his moment, and shunted the heavy door open. Inside, the marble floor was immaculate except for the torrent which ran from Thompson’s coat. Quickly he assessed the situation and, finding that he was alone, withdrew a leather pouch from the inner folds of his coat. For a moment he simply stared at it, suddenly unsure of his own intentions. Had the Admiral even noticed it was gone? Had he risked this visit for nothing? Suddenly a door opened up a staircase somewhere and the shadow of the Admiral strode proudly across the wall. Silence. Stillness. Nothing but the storm outside stirred anywhere in comprehensible range of Thompson. The shakes began to take hold as chilled water crept inside his collar, and panic started to rise. In one hand Thompson held high the leather pouch, and with the other he drew is rapier. But the Admiral still failed to show. Thompson cast back and forth, searching the growing gloom for his adversary. Each time he turned a filth grew on the marble, a mould grew on the walls. The clatter of a loose shutter filled the hollow hall, and finally Thompson’s eyes found the Admiral. He lay on the stairs by the banister, sword in hand. He was recognisable by his uniform alone, as the skin of his face had decayed completely to the bone. Thompson had been here before. Many times before. Lightning flashed just as he reached the house. Had he been discovered? He, mentally, cursed the weather and would have lay a curse on whoever created these weather elements. Curses, as usual, evoke the memories of his only known family: his mom and grandfather. As vivid as the current perimeter he is in, is the day his staunch religious mother let him go to live with such a man as who never knew of the existence of a center of worship in his neighborhood. From him, he learnt how to curse. “Well, it was the recession”. Quietly jerking himself to the present, he crouched a bit behind the flowers decorating the house. Well, he had to wait. Someone opened the door and moved towards his hide out. As the person approached, his heartbeat started to accelerate just like a water hammer. He felt like he could hear the beatings. The footsteps paused close to the cover for some minutes, as if in negotiating the next move. Adrenalin surged up in ready to respond to this intruder’s whatever action. Being alive is paramount to him but completing the mission “noiselessly” is much more important. The footsteps started to rescind. “All clear but still be alert for now”. Hi – I just posted a comment, but it didn’t come through. I don’t have a blog site but I think the box was checked. Does that make a difference? Amy, your comment is live! The loud boom of thunder which followed started the trembling in his limbs. He felt the cold touch of sweat at his brow and despised his weakness. His eyes automatically darted about, looking for cover even as he reminded himself there were no foxholes here on his parents’ front lawn. Get it together, Max, this is not the way you want them to see you. The voice in his head was sharp and angry. Breathing deeply for a few moments, his heart gradually slowed from a gallop to a somewhat steady rhythm. His shaking hand swiped across his face, removing the wetness as he willed the knot in his belly to loosen. He clenched his fists until he felt the quaking cease and his body calm. Inhaling another deep breath, Max caught the scent of freshly cut grass. Such a difference from the smell of desert air, it seemed richer somehow, greener and more alive. He could do this. He could still be the man they had sent off two years ago, a combination of worry and pride written across their faces. He wouldn’t let them down. Somehow he could put all the ugliness behind him, couldn’t he? He gently climbed the two steps up to the wooden porch, careful to avoid the creaky tell-tale board he remembered from his childhood. Depositing his large camouflage duffle bag beside the door, he pushed the glowing button and listened for the musical chimes in the hallway. Moments later his heart quickened again, this time with joy as he heard a familiar step coming toward him. The light bulb above his head flicked on. Within seconds the old door was open and he was face to face with his father. Max rested in his parent’s embrace – familiarity washing contentment over his tired soul. At last, he was home. I just made a submission but it didn’t show up. Are comments held for your moderation before being visible? Just want to make sure you received it. Just found your comment – here it is! He knew in that strobe flash moment that his rain stained face had been fully illuminated, like an a-list celebrity nominated for an Oscar on the red carpet. Inside Randall knew his precious daughter Elizabeth would be frightened to her core of insecurities, huddled in the tiny corner closet of the attic, her secret alcove of safety to which she would have retreated. That was the last thing she had said as he opened the car door, pepperoni pizza in one hand, cell phone in the other. Now, as he approached the storm cellar door, thunder rolling deafenly across the sky like bosque balls on a hardwood floor, the lightning in burst mode across the pitch black sky making his progress seem as if he were awkwardly gyrating on a disco floor, he fumbled with his keys trying to find the right one between each frame of blue light. Jamming the key in its rusted mate, Randall tried to remain calm, recalling all the years of defensive training he had received at the academy. Pulling open the dripping door Randall descended the steps into the darkness of the cellar. Slipping the Springfield XD subcompact .45 out of his waistband holster, Randall snapped the slide back and released the safety. Spending endless hours in this cellar as a boy, Randall easily reached the stairs leading up to the kitchen and the back door that Elizabeth had told him had been violated. With the Springfield gripped in his right hand Randall slowly turned the knob of the door with his left and slipped inside. Shattered glass lay scattered across the floor along with the crumpled figure he immediately recognized. “Honey, it’s Daddy, a Raven blinded by the storm crashed through the glass of the back door. That’s what you heard. I have the pizza out in the car. Counting on the element of surprise, Charles scrutinized the front of the house. Blinds drawn and curtains unmoving, he was satisfied that the plan was still a go. He crept up the stairs of the wooden porch and paused to listen at the front door. The sound of distant thunder served as cover while he worked the lock. Easing through the threshold, he was momentarily mesmerized by the long shadows stretching and dancing around the entry from the flickering candles. The rest of the first floor was blanketed in darkness from the power outage and he could hear her soft tones wafting toward him from upstairs. Hand behind his back, he tiptoed his way to the second floor. Her soft s’s and muffled notes forming solid words as he drew closer. Standing outside the door he heard her reading a story to the children. They have no idea what’s coming, he thought. He pushed the door open and his ears filled with satisfying screams and his eyes relished in their startled expressions. They did as they were told and it was easy to see their hearts beating wildly in their chests. It took everything in him to suppress the smile fighting its way to the surface. He pulled his hand from behind his back for the big reveal and they screamed. Just like he knew they would. “Puppy!” the twins squealed in unison. His wife, on the other hand, seemed less than thrilled. Perhaps he should’ve limited the element of surprise to the kids. Lightning flashed just as he reached the house. Had he been discovered? That brief flash is all it would take. The clapboard house was white and David’s clothing was black. He’d be silhouetted, marked as effectively as if a target was drawn in his chest. He thrust the thought from his mind and quickly got on with what he came to do. His lockpicks made short work of the deadlock. Once, he remembered, such a lock would have ended the project. As he entered the dark corridor he felt a twinge of sadness that it had been so easy. If a burglar really wants to get in, he’ll find a way. I used to say things like that, he thought. Locks only keep good people out. From a shoulder holster David drew and cocked his .45 in one motion. If only I was still a burglar, he thought. Your story had inadvertently landed in our Spam folder. Here it is for everyone to enjoy! He looked away sharply. Climbed the steps. Bloody Lightning! Always flashing as he got close to the windows. Hovering behind the curtains, waiting for him. He stepped forward and shoved the tight bunch of bills and letters through the letterbox. The door opened with a flourish. Its golden dragons bared their fangs on each breast. He paused just a moment. Lightning looked crestfallen. Just like yesterday. She looked down. ‘Yes Postie’, she said, sadly. She closed the door. He stepped down to the gravel driveway. Made his way past the stone urns. And looked up at the first floor window where the nurse was watching him. Lightning flashed just as he reached the house. Had he been discovered? Suddenly Jacob felt a presence behind him. Jacob’s limp body fell to the ground with a loud thud. “Oh my God!!! !” Jacob suddenly sat upright in his bed. The small digital clock sitting on the old rickety nightstand stared back at him. Three o’clock in the morning. For the fifth time this week he’d been having that same dream, and it was starting to bother him. Jacob moved to the edge of the small bed, throwing aside the sweat drenched sheets. He dragged himself to the small bathroom adjacent to his bedroom to wash up, preparing for what he knew would be another sleepless night. As Jacob stood, bleary eyed, looking into the cracked and dirty bathroom mirror, he began going over the recurring dream that had been plaguing him ever since he left his friend’s house the week before. It was always the same dream. It’s a dark rainy night, and he is standing on the lawn of a large house he can’t quite recognize in the darkness. A sense of urgency overtakes him, as he knows he must get something from that house, but he doesn’t know what. As he moves toward the house lightning flashes, and… It was no use, the dream freaked the hell out of Jacob and the more he thought about it the more scared he got. “Forget it!” Jacob told himself, “It’s just a silly dream”. Jacob lay awake staring at the cracks in the old ceiling above, trying to will himself to sleep. A quick glance at the clock told him what he already knew. Four thirty AM. It seemed as if the night would never end. “I don’t want to jump the gun, but it sure looks like it.” I parted the crowds of interns stared down into the pit, past the layers of compressed junk and ancient rock. There was no mistaking the shape of the skull. “I should have let her know. No, it wasn’t possible.” He ducked and ran along the hedge to the low brick garage. He was very careful not to step on lilies she loved so much. “Unlocked.” He reached behind canister of gas and found a spare key. As he walked out, lightning flashed second time and he stood still as if it struck him. Right at the gate he saw the shadow of a man for a split second. Hidden behind the corner, Sean heard boots on the pavement and keys in the lock. Forty-five in his hand was cold as ice and clouds of steam were rising from his mouth at regular intervals. He had nothing to lose and felt strange calm. Last month he had almost nothing to eat, slept in the woods and each remote barking of a dog awoke mortal terror in him. It didn’t break him. But he didn’t want to live this way anymore. And he endured it all just to see Jenny one more time. And explain to her everything. Heaven finally decided to cut through cold night with millions of needles. I’m going to hide inside. I’m going home. A man came out of the bathroom with a towel around his waist. It was Jason. The patrol didn’t see the shot that lit up the house from the inside. Lightning flashed. Whao I love ur story wish it turns into a novel. Whao that was real betrayal. I found your story in our Spam folder. It’s now visible for everyone to read and enjoy! Lighting flashed just as he reached the house. Had he been discovered? he had always been a prey all his life; running from everything possible. he thought he was past all that, until last night again when three men had tried to attack him. he couldn’t give himself up now, could he? As he approached the house, he knew he wasn’t the only one who would be in it once he got inside. He could see moving shadows from where he stood; and now a shadow was pointing his left hand at him. ‘oh no!’, he thought. Why couldn’t his life be a normal life without all these drama? Even times when he is not running from someone, he is running from himself. He hates being around the rowdy areas as they suffocate him, but solitude doesn’t help too. Now, what is he going to do now? He wasn’t unprepared to die, but he would rather die as a brave man than die as a coward. He was confused on which step to take, would giving up himself to these men be considered as a step of bravery or defeat, and would running away from them be considered a step of cowardice or a step of defense, since he also believes the well acclaimed statement that defense is the best attack. All these thoughts had gone through his mind in just five seconds and was about to step into the house and face those men when suddenly the house blew in flames. Another predator of his must have kept a bomb in the house, with the hope that it would blow him up instead. He took very a deep breath, as he ignored the fire, flames and smoke. He was safe. At least for now, for this minute, he was safe and he was gonna enjoy it no matter how short he knows that might last. He flattened himself against the damp brick and listened. The house was dark and quiet, the only sound coming from the rumble of thunder and the splash of the rain on the driveway. He slid to the corner, ducking beneath the window just in case. Water dripped off the gutter and he shivered as it fell inside his collar. He chanced a quick look as he reached the edge of the house, cursing softly as he caught his sleeve on a rose bush. Damn, this was his favourite jacket. His eyes lifted to his surroundings and he allowed a smile to escape when he saw the driveway was empty of cars. He returned back the way he’d come, moving quickly and carefully to the back of the house. There were no lights on here either. The darkness protected him even as lightning flashed again and he used the shadows as he crept towards the back door. He sucked in a breath, his trembling hand reached out and cold fingers wrapped around the gold knob. Ever so slowly it turned. He cringed as he waited for the door to creak but it seemed to be on his side because it opened quietly and he slipped inside. The light from the microwave was enough to guide him, his footfalls sounding loud on the tiled floor and he waited to be discovered. But he wasn’t. With a self-satisfied grin he pulled himself upright, placed his fingers in the grooves of the sliding doors of the dining room, slid them open and flicked on the light. Squeals and groans assailed his ears as the crowd gathered around the lounge room door spun to face him. Balloons slipped from startled fingers and the ‘Happy Birthday’ banner rolled in on itself as his wife threw her hands in the air, his brother trying desperately to catch it as it fell. He laughed as they glared at him. Lighting flashed just as he reached the house. Had he been discovered? He had no time to give any second thought to this question now echoing in his ears. Not now, not at this moment. If they were to catch him, they would kill him. They had identified him earlier on. “That’s the sell out!! !” barked one of the three men, dark in complexion with brownish rolling eyes half buried in puffy oily cheeks. Eyes full of evil. They had been trailing since mid-day in the thick forest. Twice he had fallen as he ran for dear life. Through thorny bushes he threaded his way never minding the pain of prickling thorns. At one point he nearly fell into an abandoned deep pit left out by gold diggers. After crossing the dry river he saw a house. He must run now. Dusk was setting. Above him there were thick dark clouds. Maybe he should hide in the thick undergrowth. He was about roll himself for cover when he had the voices. “Bravo, see here marks of his canvas shoes he is not far”. Jamela darted out of the undergrowth towards the house. But the flashing light had sold him. Was there anybody inside the house? Would they give him protection? As he turned one corner, he had the footsteps, his enemies were closing in on him. There was no longer any time to weigh options. He had to run fast into the dark inviting night.